I thought I'd follow up yesterday's classic automobile photo with another of my favorites. 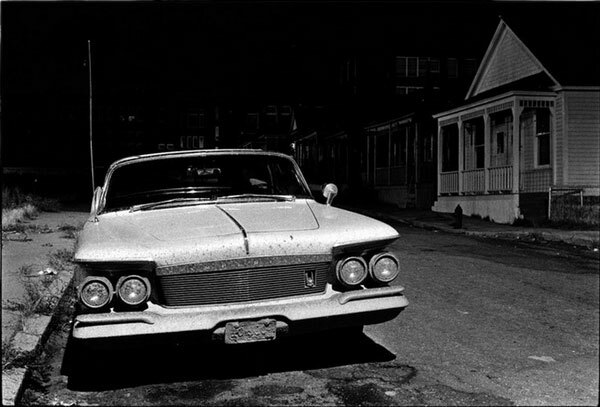 This stately, down-and-out Chrysler Imperial was photographed in 1966 by William Gedney in uptown Butte. Gedney was another fascinating twentieth-century American photogapher, known mostly for his rather gritty photos of people in Kentucky, San Francisco, and elsewhere. But he also took some fine roadtrip shots, and I'm glad he paused in Butte long enough to record this old car.